Ourfa was located in the heart of Mesopotamia, and consequently, it was an important transit point for commodities such as grains, wool, butter, sesame, etc. 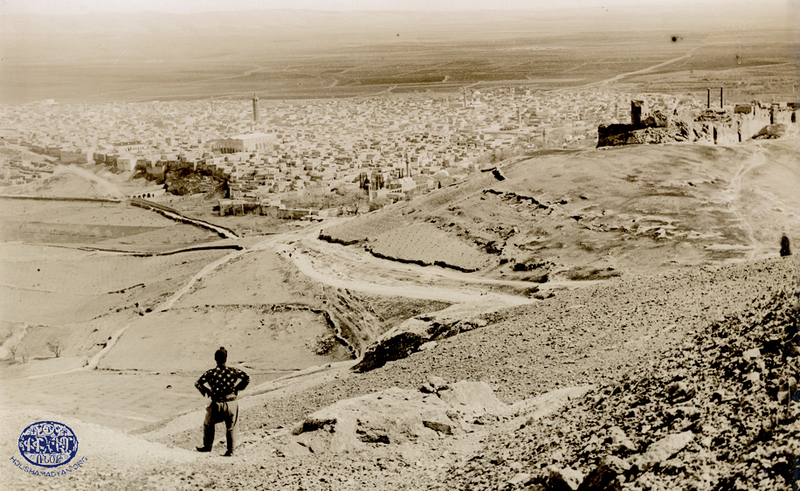 The city was located at the crossroads of caravans arriving from Dikranagerd (Diyarbakir), Malatya, and Adiyaman; and heading towards Aleppo. The buildings in the city of Ourfa were built of stone, with arched roofs and windows decorated with sculptures. Houses were generally built of white, high-quality stones, and were usually two-storied, surrounded by high fences, as is the regional custom. Some homeowners had even managed to install underground pipes that reached nearby streams, and thus had impressive fountains in their courtyards. The ground floors of these buildings usually featured large cupboards, used to store household items for regular use. These cupboards were also often used to store valuable items, books, heirlooms, and expensive china. Every home had a tonir in its kitchen – and kitchens were often called tonradouns (tonir rooms). The tonirs were used to bake tandoor and bedinkesh bread, both of which were baked by stretching the dough on the sidewalls of the tonir. People also sometimes baked thin bread on the sadj (markook), which they were then able to dry and preserve for later use. There was also a large contingent of bakers in the markets of the city, most of whom were originally from Sassoun. They prepared two types of bread, mainly – a thin, long type of bread; and round, soft loaves, which could be used as rolls for kebab meat. Ourfa was famous for its kebab, and the markets were full of eateries selling kebab cooked with tomatoes and eggplants. The markets were also full of butchers’ stalls. The Armenian butchers generally sold mutton and goat meat, while the Turkish butchers sold meat and camel meat. The vineyards of Ourfa produced several types of grapes, some of which ripened early in the year, while the rest ripened in late autumn. Therefore, for four full months, the people would organize picnics in the various vineyards of the area during harvest time. These picnics gained the status of festivals for the bon vivants of Ourfa. They would go to the vineyards with their entire family, where they would build Aghels (small huts in the fields, made partially of stone, with thatched roofs). They would spend the day collecting and sampling the grapes offered by the different vineyards, and the young men would practice military exercises in their free time. In the evenings, they would feast and put on performances. Their friends and family would often join them, and all would partake in the work in the vineyards while also enjoying the merriment. Eventually, a portion of the grapes would be sold, and the remainder would be turned into molasses or be dried to make raisins. 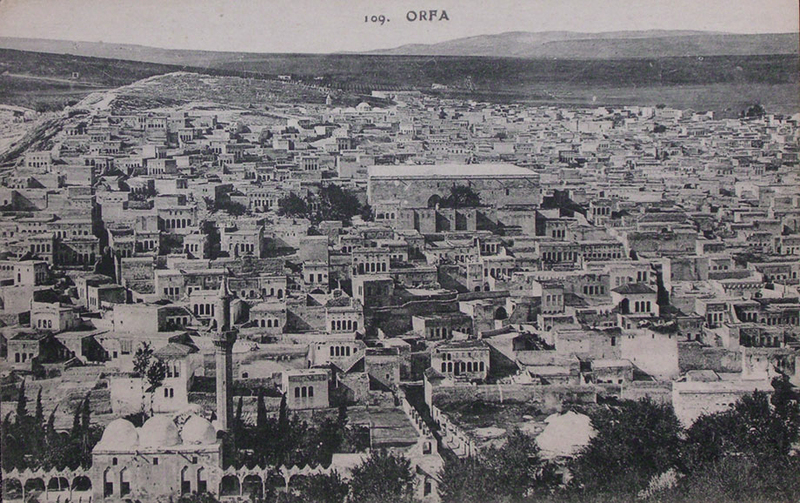 The cultivation of olives was also widespread in Ourfa. The locals simply called it ‘fruit’. Other fruit-bearing trees were also ubiquitous in Ourfa, as well as vegetables, including okra, kidney beans, eggplants, Franks (tomatoes), Isot (bell peppers), cucumbers, kheteti (Turkish cucumbers), lettuce, tercheckli (carrots), etc. Truffles were also common in Ourfa. People found them in sandy areas, washed and cleaned them carefully, then boiled them. The truffles were not eaten raw, as they were very hard in that state. Also, the water in which they were boiled was not then re-used, as it often contained sand and dirt, and was often blackened in the process. The truffles were usually served alongside other dishes, such as kebab, pilaf, salad, etc. The manufacturing and use of fruit juices was quite widespread in Ourfa. People would install large bowls in the caves of Mount Apkar during the winter. Much of the winter’s snow would be collected in these bowls, and would be used to cool down fruit juices in the hot summer months. 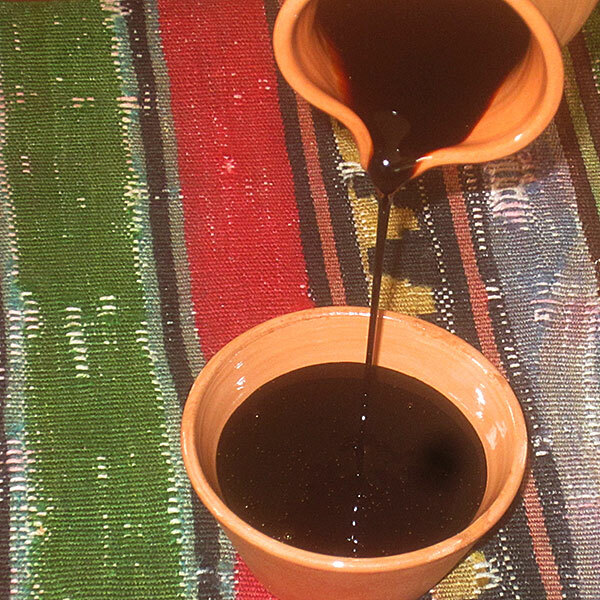 The residents of Ourfa had a habit of using pomegranate syrup, verjuice, and vinegar to give foods an acidic, sour taste. When residents of Ourfa said a certain meal was ‘sweet,’ they meant that the meal was simply not sour, and did not contain any acidic products, such as tomato sauce, lemon juice, verjuice, or pomegranate syrup. Many meals had ‘sweet’ and ‘sour’ versions. 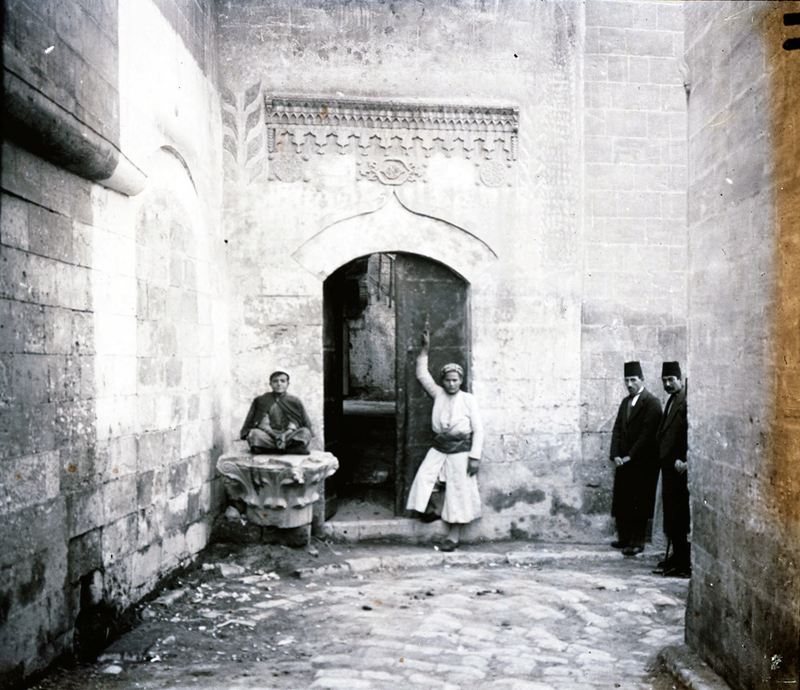 There were several types of bread cooked in the kitchens of Urfa. 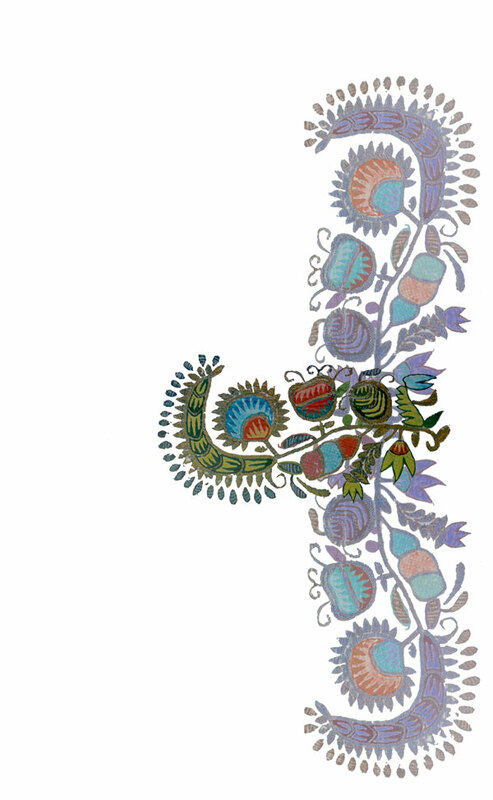 Bedinkesh bread was baked on te walls of a tonir, and this is reflected in the name. 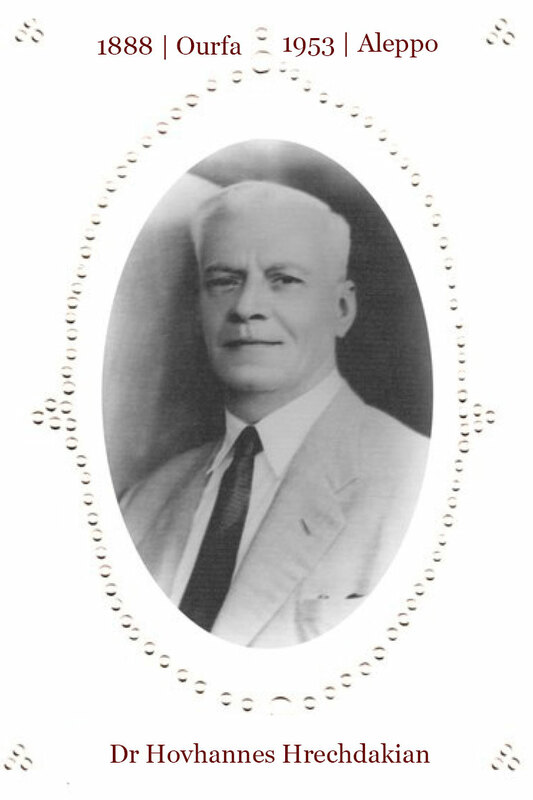 Pegegh bread was also baked in tonirs, but was usually smaller and rounder. Bread baked on the saj was yeast-free, very thin, and baked by spreading the dough on top of a saj (a round, convex dome under which a fire is lit). The term djmur comes from the word djmrel, which means to crumple or to squeeze. Bread is taken out of the tonir, is cut into pieces, and soaked in oil. 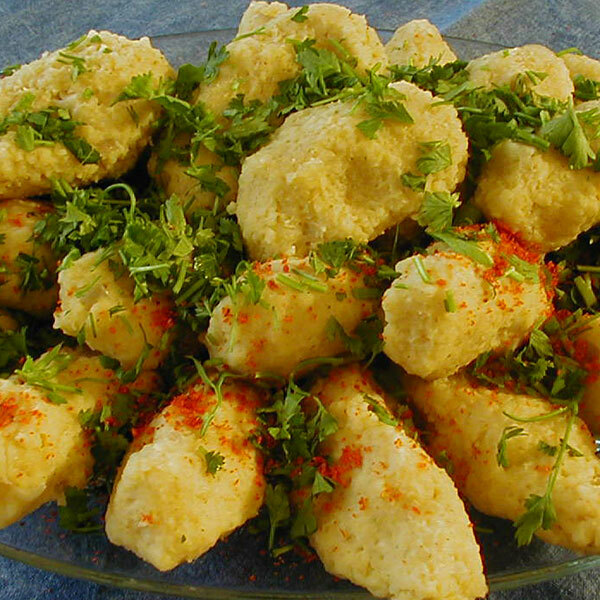 Then the small pieces of bread are shaped into sekhems, or bite-sized morsels, before being served. Some also sprinkle sugar on the sekhems, or drip grape molasses onto them to enhance the flavor. Another version of this bread involves adding cheese into the bread during the act of cutting the bread into pieces. Alongside the grated cheese, diced onions and parsley were also added to the bread. Usually this cheese-filled version was served to children. Knead the dough, and roll it into walnut-sized balls. Let the balls of dough settle. Dice the onion and garlic, and mix with the other ingredients of the stuffing. Use fingers to poke holes in the balls of dough, and fill each ball with one soup spoon of the stuffing. Reshape the dough into proper balls by folding it onto itself, ensuring that none of the stuffing spills out. Fry in hot oil, first frying the side with the meat, then the other side. Kebab in Ourfa was eaten on a regular basis, the area’s kebab dishes were quite unique. There were many eateries in the city that served kebab wrapped in sadj bread. Besides the regular kebab, roasted on coals, Ourfa residents also prepared many other pan-fried meat dishes which resembled the traditional kebab. These dishes were often called tava kebab or simply tava. Season and tenderize the meat. Slice the eggplants to a thickness of 3 centimeters. Arrange the sliced eggplants and balls of the meat alternately on a skewer. Roast the skewered meat and eggplants. 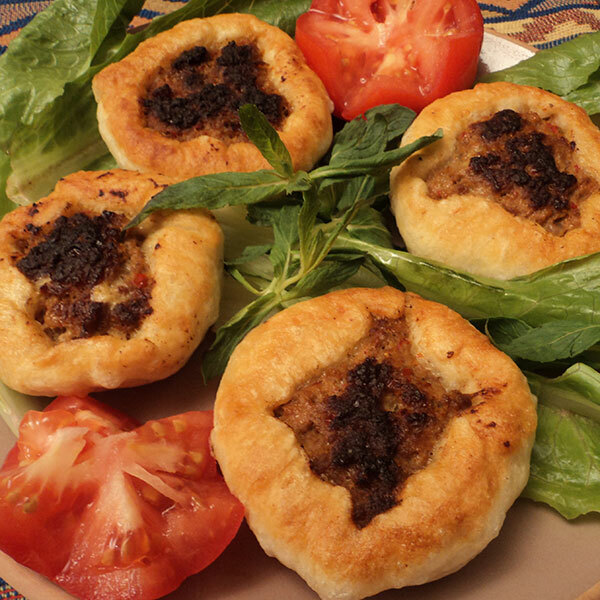 Khaskhash was the name given to ground meat that’s been ground only once in a meat grinder with large holes. Chop the parsley and mix with the ground meat. Then use the palms of your hands to mold the ground meat onto the skewers. The final shape of the skewered ground meat should be thin and long. Roast the skewers, as well as the vegetables. Peel the outer skin of the roasted tomatoes, chop them, un-skewer the meat and serve it on top of the roasted tomatoes, garnished with peeled, clean roasted onions and peppers. Chop and season the meat. Boil the desert truffle, and then chop it. Place one piece of meat and one piece of desert truffle on the skewers alternately, then roast. Chop the meat and fry it in its own oil. Season, then cook with a small amount of water. Chop the desert truffles, boil them, and strain them. Cook the rice in salt water, then strain it. Combine the meat and the desert truffles, place in the middle of pan, and cover using an upside-down bowl. Fill the area around the bowl with rice, cover the pan, and continue cooking on a low flame. Serve with garlic yogurt. This dish was commonly encountered in the area’s flourmills. It was the favorite dish of Ourfa’s millers. Chop the onion and the bell pepper, mix them with the meat, and season. Slice the eggplants diagonally to a thickness of 1 cm, in such a way that the bottoms of the eggplants are not cut away. Hollow out the eggplants, then fill them with the stuffing. Arrange in the pan, and cover them with the chopped tomatoes. Cover the pan, and cook slowly over a low flame. The same dish can be made without using tomatoes. In that case, oil is added to the pan before cooking the eggplants, which are cooked after sprinkling them with water instead of covering them with the tomatoes. Chop the onion and the pepper, mix them with the ground meat, and season. Slice the tomatoes in such a way that the bottoms are not separated. Hollow them out and fill with the stuffing. Arrange in a pan, cover, and cook slowly. When it is almost ready and the dish is watery, add the rice and continue cooking over a low flame. Boil the onions lightly in salted water, then hollow them out. Chop some of the onion innards, as well as the bell pepper. Mix the chopped vegetables with the meat, and season. Fill the onions with this stuffing, arrange in a pan, sprinkle ground red and black pepper over the onions, and add some water (some may prefer substituting the water with chopped tomatoes or water mixed with tomato/pepper sauce). Cook on a low flame. Boil the meat. Then remove from the water and fry. Also fry the chives. Season, then cook on a low flame after adding a small amount of the water the meat was boiled in. Some choose to arrange dry apricots around the meat before serving it. Chop the meat and boil it. Remove from the water and fry. Also fry the okra, until limp. Season, then add mix and fry the ingredients after adding a small amount of water the meat was boiled in. This dish is slightly watery, and is usually eaten by dipping chunks of bread into it. Dice the meat and boil. Also, chop the desert truffles and boil. Add the strained meat and the truffles to the onions, and fry. Season with ground black pepper and salt. The many versions of koftas (gololags) were ubiquitous in Ourfa’s kitchens. Some were served as separate dishes, others found their way into soups and stews. 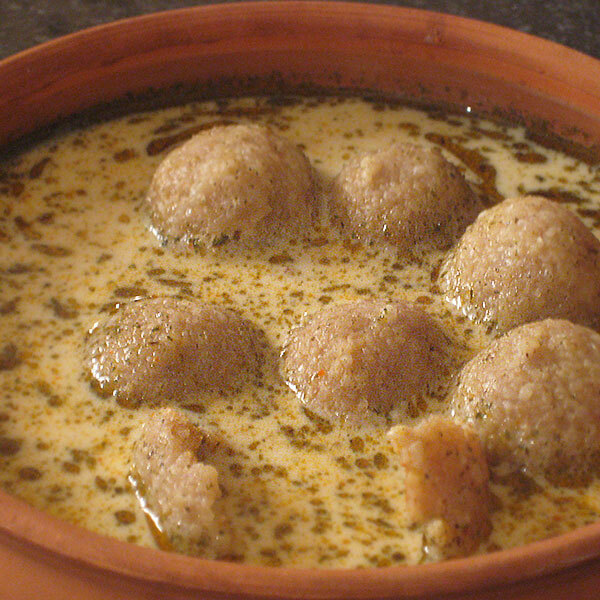 The term kofta was also applied to sekhems, which were individual, bite-sized morsels of food. 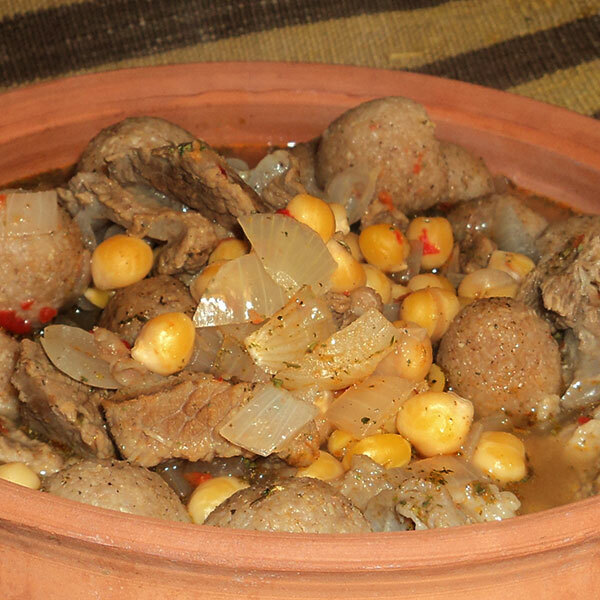 The people of Ourfa also had Lenten versions of many koftas. This dish was often prepared on Sundays and holidays. It was particularly popular around Christmas time, and was served alongside the customary fried fish and rice pilaf. It is a time-consuming dish to prepare. Consequently, people often began preparing it the day before it was served. Soak the chickpeas overnight. The next morning, strain them and boil alongside the chopped tenderized meat. Knead the dough for the meatballs, make small balls of dough, and fry them. Dice the Swiss chards, cover the boiled meat with the diced beats, and fry. Add the balls of dough at the very end, fry for a few more minutes, then serve alongside garlic yogurt. 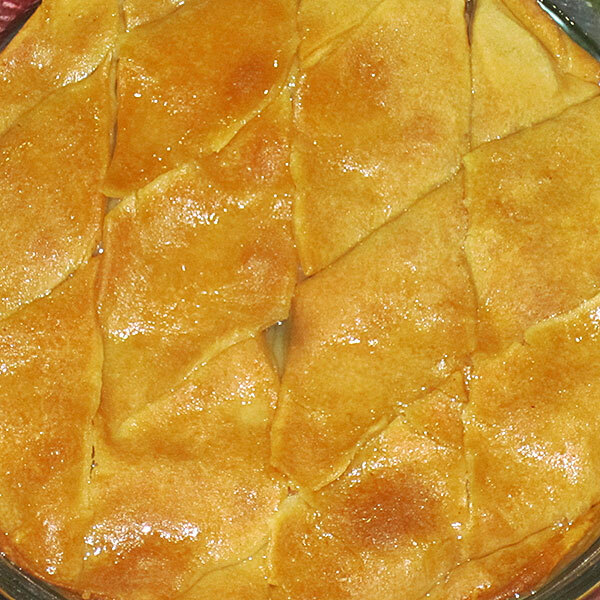 This dish was often served during wedding celebrations. Dice and boil the meat. If using the lard, boil it, mash it, and then add to the boiling meat. 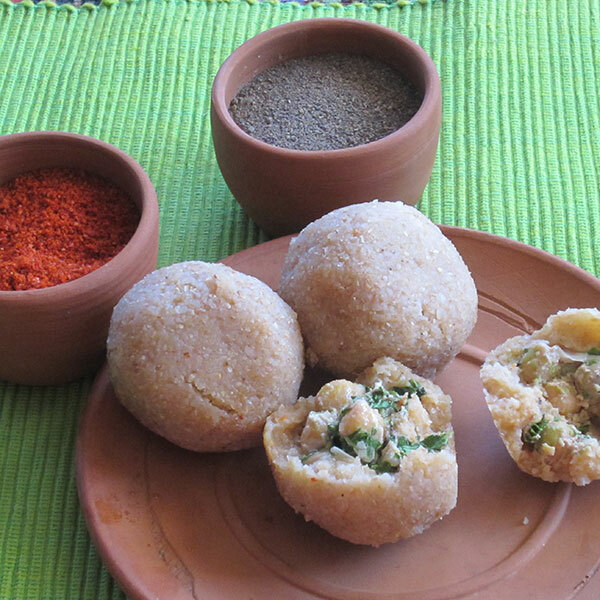 Combine the tenderized meat and the wheat, knead with water, and roll into balls, then cook in the water of the boiled meat. Serve everything together. 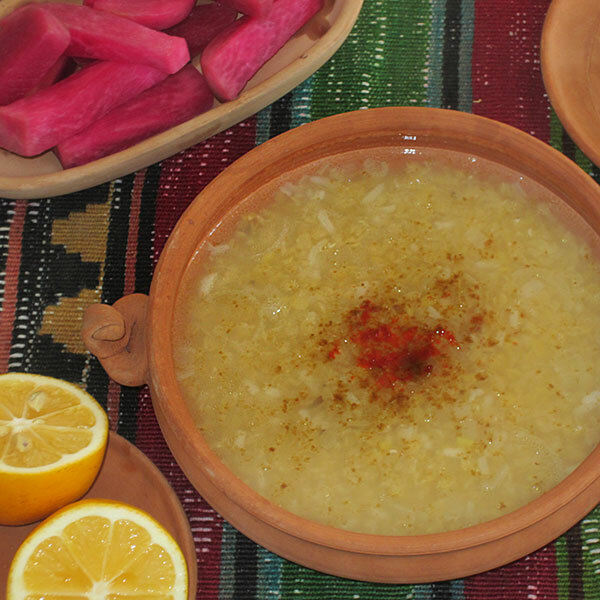 Prepared just like a Yakhni Youvalagh, with the addition of two soup spoons of tomato sauce and lemon juice to the water in which the meat is boiled. Chop the onion and hot bell pepper into small pieces, combine with the wheat, season, then add the meat and knead it all together while constantly wetting the fingers, until the product has an even texture. Prepare the sekhem, or the individual bite-size morsels, and arrange around a tray. Garnish with herbs and scallions. “The leklekoun kofta has home; and it has plugged the spring” is an old adage from Ourfa that highlights how large the morsels of this kofta were. Dice the tallow and tenderize until it has an even consistency. Add the slice onions and seasoning, then roll into walnut-sized balls and place in the refrigerator, until they congeal. 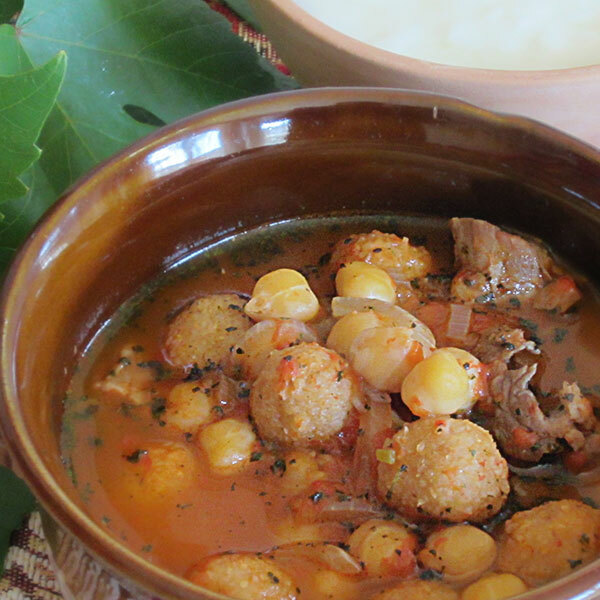 Combine the tenderized meat and wheat, knead together, and roll into balls larger than the balls of tallow. Then insert the balls of tallow into the balls of meat, and boil in salt water. Once the meatballs rise to the sourface, remove them from the water, strain, and serve warm. To make this dish, follow the directions to make leklekoun kofta, but make the meat balls smaller, and boil them in yogurt soup. To make the yogurt soup, combine 1 liter of yogurt with 1 soup spoon of flour and salt, boil, then add 1 liter of boiled water and, if desired, oil and ground mint. Chop the onions and cook alongside the ground meat. Season and allow to cool down. Knead the meat and wheat together while regularly wetting the fingers. Make walnut-sized balls of dough, open a crevice in them using the fingers, and fill with the meat, then roll the dough back into shape. Boil in salt water and serve warm. Chop the onions, combine the tahini and the chopped walnuts, then season. Dice the onions, tomatoes, and bell peppers, strain them, combine with the chopped parsley, and season. Soak the chickpeas in water overnight. On the following morning, strain the chickpeas, then mash them. Mix the mashed chickpeas with the flour, the wheat, and the seasonings, then knead the dough. Chop the onions, then mix with the rest of the ingredients for the stuffing. Use walnut-sized portions of the dough. Flatten the dough with the fingers, fill it with the stuffing, then roll the dough into balls. Cover the balls of dough with flour, then boil in saltwater until the balls of dough float to the sourface. Serve cold. This kofta was usually served on Good Friday, alongside yarrow salad with garlic and vinegar. Boil the lentils. Extinguish the flame, cover the pot, and let the lentils simmer. Dice the onions, simmer in oil until limp, and combine with the wheat. 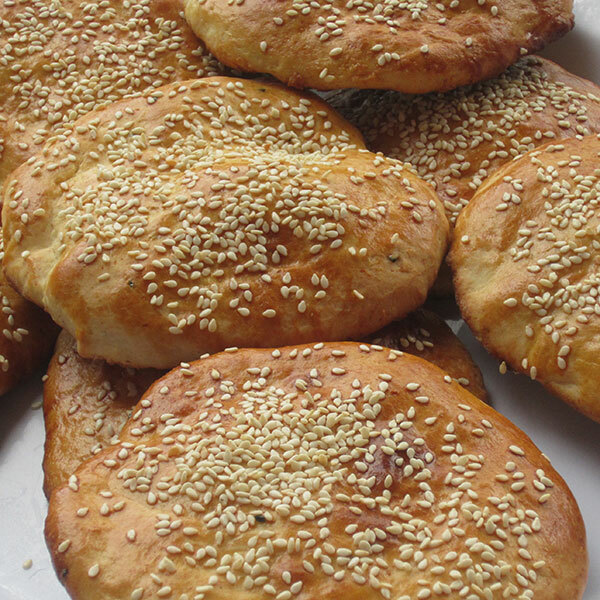 Season, knead, then make the sekhems and arrange them around a tray. Garnish with herbs. Soak the wheat in the water that was used to boil the chickpeas. Add the tahini, season, and allow the mixture to cool down. Add the chickpeas, the chopped herbs, onions, and lemon juice, then serve. This dish usually has a semi-liquid consistency, and is eaten with a spoon. Chop the onion and fry it in oil, and add the chopped pepper and tomatoes, then the tomato/pepper sauce. Season, boil in water, remove from the flame, combine with the wheat, cover, and let the mixture cool down. Use the eggs to make a well-cooked omelet, stirring constantly, then add on top of the wheat. Mix everything together, adding the chopped parsley, mint, and scallions. Serve warm, in the shape of a pyramid. Fresh or preserved grape leaves are recommended as a side. Devendeg means home. This triangle-shaped kofta received this appellation due to its resemblance to the shape of houses in some of the villages near Ourfa. As for the word kebbebet, it is a portmanteau of kebbe, which means kofta, and bet, which means home. Knead the dough, and roll into walnut-sized balls. Slice the onions, mix the meat and chopped parsley and season. Fill the dough with the stuffing, shape the balls of dough into triangles, and boil in salt water. Mix and knead the dough, then roll into walnut-sized balls. Fill the balls with the stuffing, re-fold into a triangular form, and boil the stuffed dough in salt water. Chop the onions; mix with the mashed chickpeas and chopped parsley; then season. Chop the onions, tomatoes, and peppers; place on strainer; then mix with the chopped parsley and season. Chop the onions; mix with the meat and the rice; then season. Hollow out the zucchinis, fill them with the stuffing, and line them up in a pot. Cover the rows of stuffed zucchinis with chopped mint and ground garlic. Cook with a small amount of water. Serve with garlic yogurt. Dice the vegetables; mix with the meat and wheat, and season. Hollow out the eggplants, fill with the stuffing, and cook in a small amount of water. Serve alongside garlic yogurt. The same stuffing is used to prepare Swiss chard sarma, as well as grape leaf sarma. 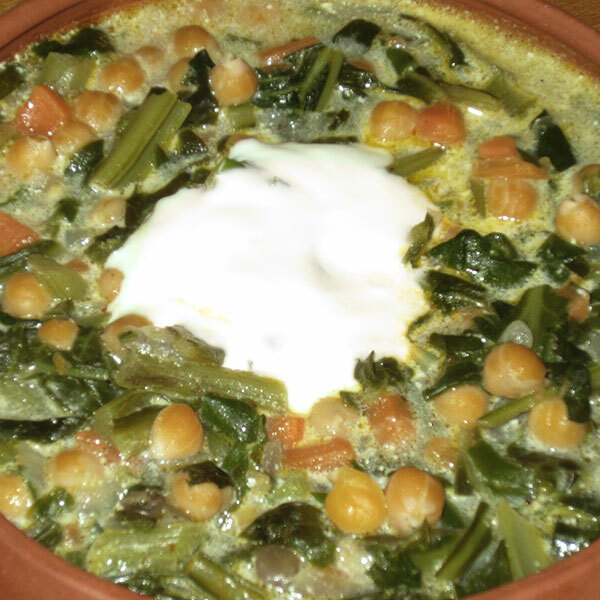 Grape leaf sarma was often served on Easter, alongside eodjdje, yogurt soup, and fish. Chop the vegetables, namely the tomatoes, bell pepper, onions, and garlic, and then fry them lightly in a pan. Add the wheat and tomato/pepper sauce, and season. Wrap in the grape leaves, and place the grape leaves in hollow eggplants and peppers. Arrange in a pot, add enough water to cover the dolmas, place a tray over the pot, and cook until all of the water is absorbed. Allow the dolmas to cool, then remove from the pot, before they collapse. A cup of chopped walnuts may be added to the stuffing, if so desired. Fry the vermicelli in the oil, add the wheat, and continue frying for a few minutes while constantly stirring. Add the water and salt, and continue frying on a low flame until the water is completely gone. 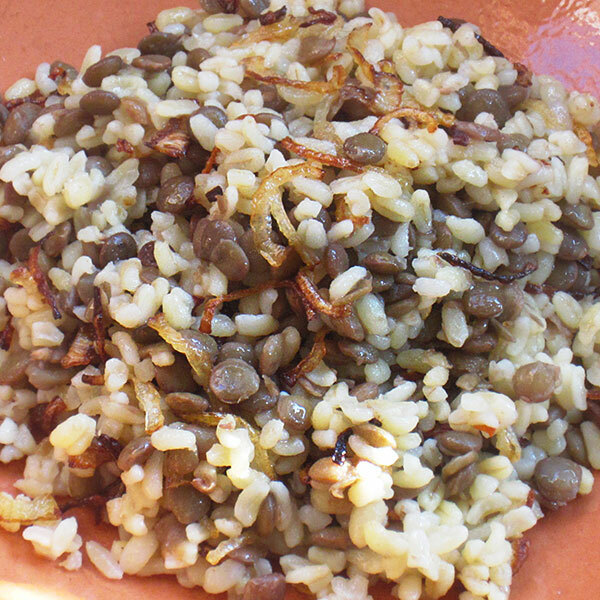 Boil the lentils, add the wheat and the salt, and leave on a low flame, until the water is completely absorbed. Chop the onions, fry until golden, mix some into the pilaf, and pour the rest on top of the pilaf when serving. This dish’s name highlights the fact that it was usually served in taverns and restaurants. Fry the meat in its own oil. Add the chopped onions and peppers, and fry until the vegetables are limp. Add the seasoning, the tomato/pepper sauce, the water, and the wheat, and continue frying over a low flame until the water is completely absorbed. Boil the desert truffles, strain, then chop them. Fry the wheat in hot oil, then cook after adding water to it. Right before all of the water is absorbed, add the desert truffles, salt, and pepper. Continue to cook over a low flame. Usually prepared on Easter, and cooked without vermicelli. Simply fry the rice in oil for a few minutes, then add the water. There should be about twice as much water as rice. Cook over a low flame, and cover the lid of the pan with a cloth. Like in many other parts of the Armenian highlands, omelets were ubiquitous in Ourfa, and were seen as nutritious, easy-to-prepare dishes. Chop the boiled desert truffles, fry in oil, and then add the beaten eggs. Remove the seeds of the dates, and fry them in the oil. Then add the beaten eggs and make sure to fry both sides. Fruit leather (bastegh) and eggs can be prepared by following the same directions. When sheep lard is melted, small pieces of it burn, dry up, and become very crispy. This dish is prepared by taking the crispy bits, and, combining them with eggs, making an omelet. Mekla is the term given to a regular omelet. However, the eggs in a mekla are runnier than the eggs in a regular omelet. Boil and strain the Swiss chards, then fry them with the eggs. Chop the onion and pepper into thin strips. Fry the strips, then add the chopped tomatoes and season. Beat the eggs and add to the vegetables. This dish is usually slightly runny. Beat the eggs alongside the flour, add the salt, and fry in butter. Shape the eggs into small circles. Mix the yogurt and the garlic, then pour over the eggs before serving. This dish was served on a regular basis, but especially during Easter. Chop all of the herbs, then combine with the rest of the ingredients. Take spoonfuls of the resulting mixture and fry in hot oil. Make sure both sides are fried until red. Salads were rare in the kitchens of Ourfa, but the few that were prepared were unique. Usually, meals were served alongside doogh (tan), yogurt, pickles, fresh tomatoes, cucumbers, bell peppers, herbs, scallions, and garlic. This dish was often served on Good Friday, alongside lentil kofta. Slice the yarrow into thin strips and season. Boil and strain the desert truffles. After letting them cool down, slice into strips. Mix the chopped onions and parsley, then season with the vegetable oil, lemon juice, red pepper, and salt. Sometimes tomato/pepper sauce was added to this salad. A second recipe of this dish is much simpler: Sprinkle oil, ground pepper, and salt over the slices of the desert truffles. Served alongside semsek in small bowls, and enjoyed with spoons. Peel and slice the cucumbers, mash the garlic, add water, season, and stir. Chop and fry the meat in its own oil, then immerse in water and boil. Add the chopped tomatoes, yogurt, tomato/pepper sauce, and seasoning, then the okras. Cook on a low flame without stirring. 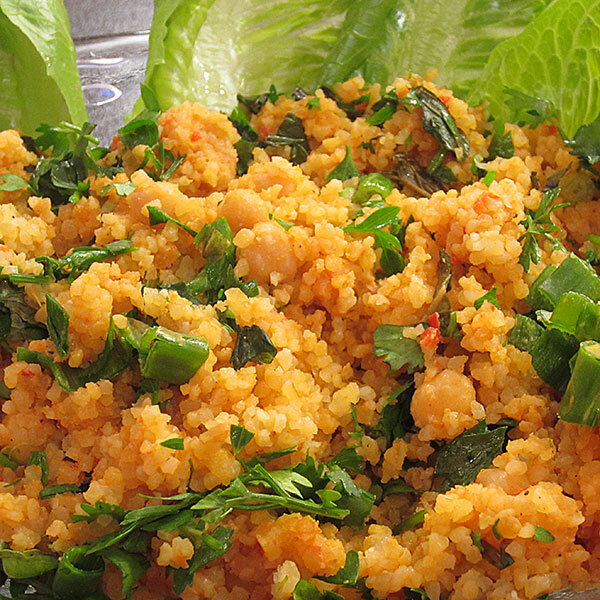 Serve with bulgur pilaf. This dish was usually prepared on the night of Easter Eve, and for that reason it was often also called “Easter Eve Dish”. According to popular myth, one year, Easter Eve came before the Swiss chards had been harvested, and that is how it received is appellation. Chop the onion and carrots and steam with oil or vegetable oil. Add the chopped Swiss chards, chickpeas, and seasoning, as well as a small amount of water. Serve with mashed garlic on top. Boil the previously soaked chickpeas. Add the lentils to it first, then the wheat. When these are boiled, add the chopped Swiss chards, season, and continue to boil. Serve alongside tahini mixed in hot water combined with a clove of garlic. Boil the previously soaked chickpeas. Add the wheat and seasoning and continue to boil. Redden the vermicelli, and then add to the boiling soup. Take some of the boiling water, add to the tahini, and then combine with the soup. Boil the cracked wheat. Combine the yogurt with flour, boil, then add to the cracked wheat. Fry the onions and add to the soup. Sprinkle water onto the flour, spread the water with the fingers, and allow the flour to coagulate. Then put through a strainer. Collect the balls of flour that remain in the strainer, soak them, and repeat the process. Then, boil the remaining balls of flour (peshrougs) in salt water. Meanwhile, fry the onions, and serve with peshrougs with the fried onions on top. Boil the previously soaked chickpeas and pounded wheat (dzedzadz), add the lentils, the chopped onions, and the garlic. Cook on a low flame. If necessary, add water occasionally. Mix the butter with the rest of the ingredients before turning the flame off. Serve with cumin and the red bell pepper. Knead the dough, then allow it to rest. Mix the flour and the yogurt, and boil. Flatten the dough with a rolling pin, cut into squares, then fold and tie the corners together, giving the dough the shape of ears. Boil in salted water, then, using a ladle, move the dough back into the yogurt, and boil together again. Heat up the butter with the mint in it, and add to the soup. Add a few cloves of garlic, if so desired. 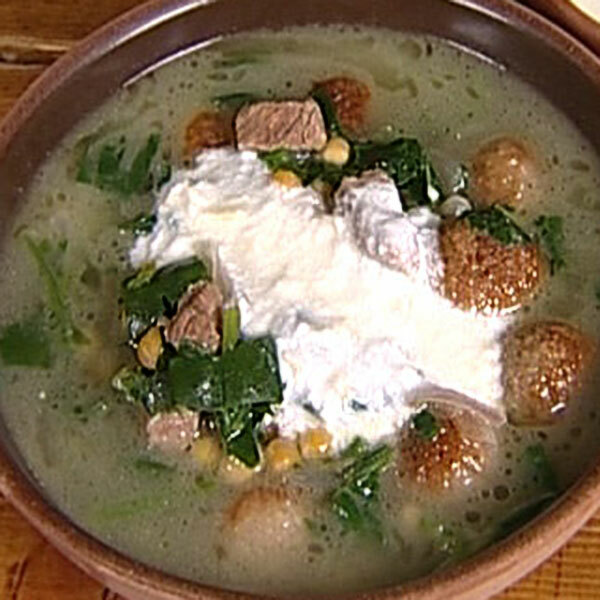 A second version of this dish involves frying the balls of dough separately before adding them to the boiling yogurt. 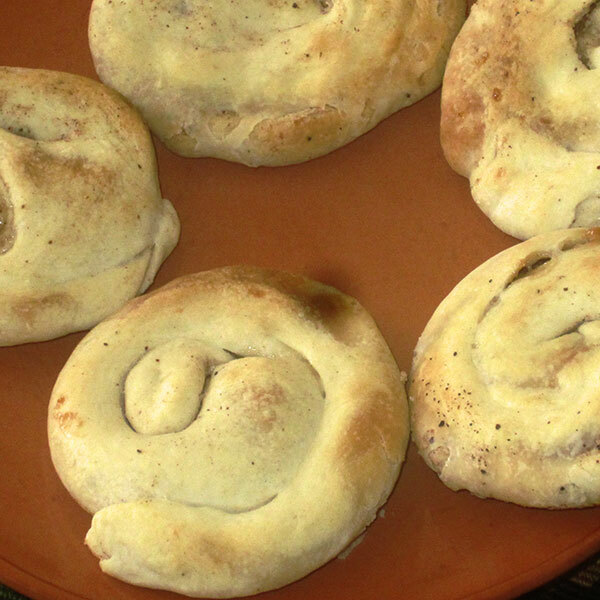 These balls of dough were called kherdjigs. This second version of the dish also included meatballs prepared with wheat, and parsley added to the oil. It was customary to serve this dish on Easter, alongside fried fish and eodjdje. Boil the pounded wheat (dzedzadz). Churn the yogurt with the flour, and add slowly to the boiling soup, stirring constantly. Remove from the flame, and season with mint. Boil the lentils, then add the wheat and continue to boil. Add the chopped eggplants and tomatoes and cook until the soup becomes starchy. Serve lukewarm or cold, with a sour and hot sauce on the side. Usually, to make bosdania, people used the tips of the eggplants that had been hollowed out and stored during the summers to make dolma. Chop the meat, fry in its own oil, then boil in water. Add the sauce, and after boiling add the chopped zucchinis. Season before putting out the flame, then add the mashed garlic and lemon juice. Usually served in a bowl of old bread. Boil water, then add the butter into it, as well as the mashed garlic and salt. Add the eggs, and stir quickly, so that the eggs dissolve in the water. Serve warm, like khash. Mix and knead the wheat and tenderized meat together, and roll into small meatballs. Boil the meatballs in salt water. Then chop the oiled meat, fry in its own oil. Add the chopped onions, rotate in the oil, and allow them to go limp. Add water, then the sauce and lemon juice, and season. After boiling, add the meatballs, boil for another few minutes, and serve. 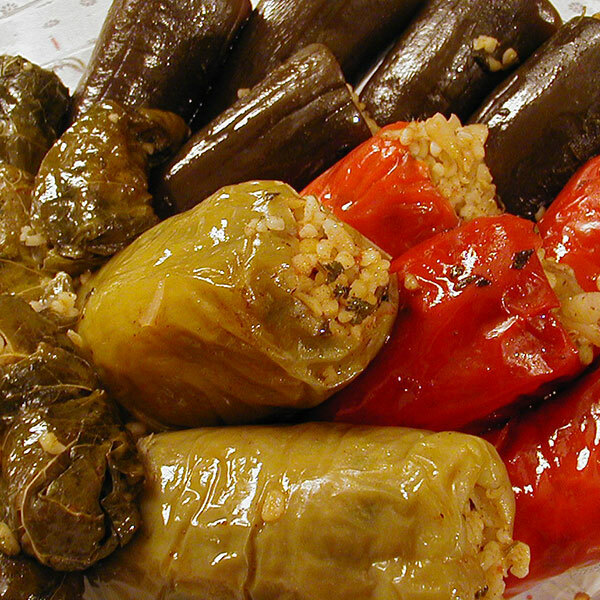 Usually, djrtma or chtma was prepared the day after a household had zucchini dolma. The dish was made using the innards of the zucchinis. The name originated from the crackling noise these innards made while being fried. Fry the onions, then add the zucchini innards, season, and fry. Mix ground meat with tomato juice, ground cinnamon, ground red and black pepper and allspice. Fry in the meat’s owl oil, adding rice, pine nuts, and a small amount of water. Cook the rice halfway. Fill this stuffing into a lamb’s hip, then sew it shut and cook in the oven on a tray, on a low flame, for about an hour. After searing the head and hooves of the sheep on a flame, wash them and place them on a large tray. Also wash the sheep’s stomach (part) after having it left in boiling water and having cleaned it with salt. 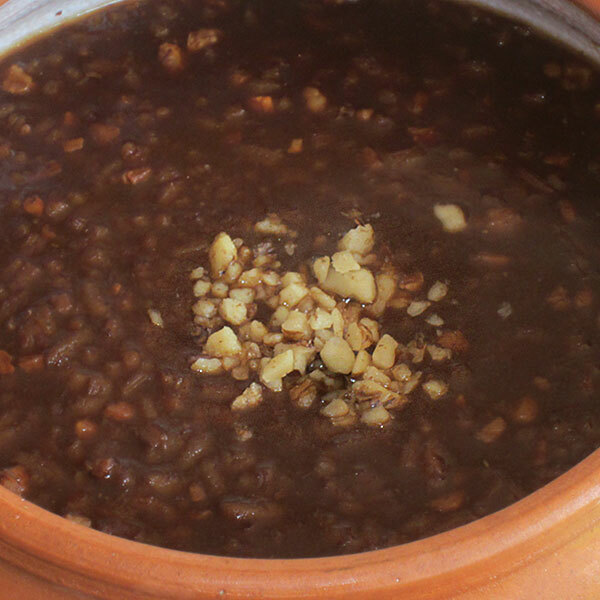 Fill the pounded wheat (dzedzadz) into the stomach, sew it shut, and place in a pot. Add plenty of water and salt, and cook, constantly collecting the froth that collects on the sourface. When no more froth is produced, cover and lower the flame. Cook for a long time. Suggested sides include garlic sauce, lemon juice, and ground red/black pepper. Boil the lard of a sheep or a rooster, remove the bones, add the previously soaked pounded wheat (tsetsats), salt, and cook on a low flame. Serve after topping off with oil, cumin, and hot red pepper. This was a nursery rhyme recited during a game, containing several names of desserts and confectionaries. The game was played thus – the players sat in a circle, spreading their legs. One of the players recited the nursery rhyme while indicating a different player with each syllable. Whoever the player landed when the rhyme was over folded one leg. The player who was the first to fold both legs was the winner. Ferment the yeast in milk. Mix the oil and sugar, add the milk, then add the flour slowly and knead. Also add the seasoning. The dough should eventually be soft, but should not stick to the fingers. Cover and allow the dough to rest 4-5 hours. Then, cut the dough into any desired shape, cover the dough with egg yolk, then bake in the oven, until it turns golden. 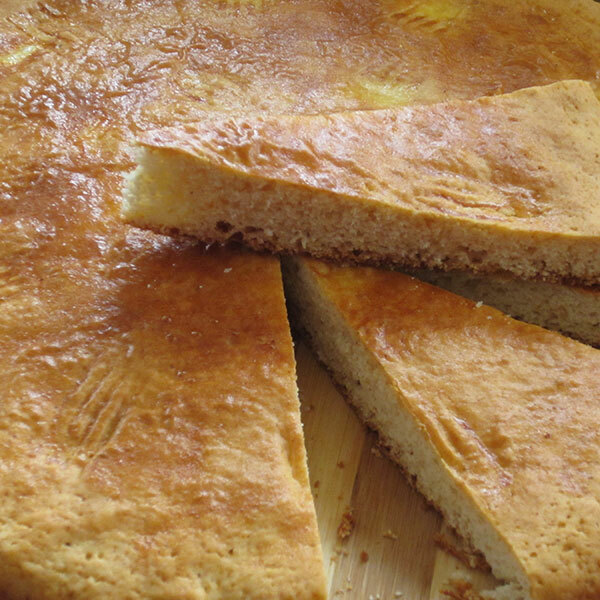 Kesmekouloundja was the name given to the same dish when the dough was divided into four quarters before being baked. 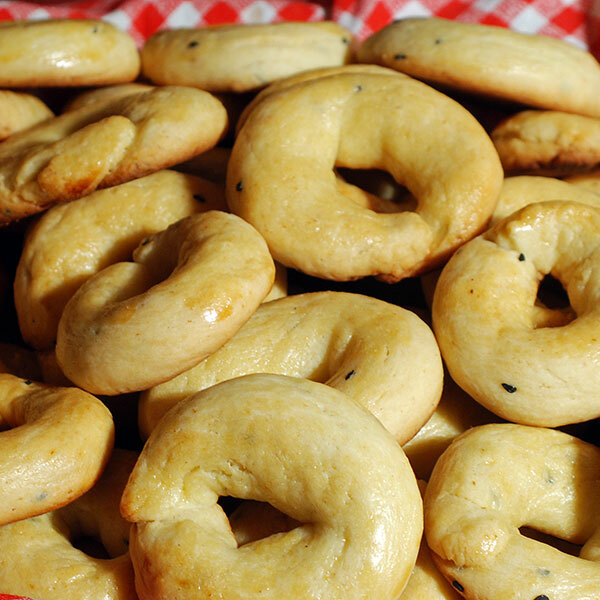 Polor(ag) kouloundja was the name given to those katas that were sent to one’s in-laws on Easter. According to custom, the number of katas sent from the bridegroom to his in-laws had to be odd, and in response, an even number of katas had to be dispatched from the bride to her in-laws. Often these cakes often bore the sign of the cross. Boil the grape syrup, then add the cracked wheat and the seasoning. Boil for 15-20 minutes, until it becomes dense. Line the bottom of the tray with wheat powder, then spread the boiled syrup evenly on top of it. Add the chopped walnuts, and serve after it cools down. To preserve, sprinkle some additional wheat powder on top and keep in a box. Wheat powder, or bulgur powder as it was called in Ourfa, looked like flour, and consisted of wheat sifted through the finest of screens, so only the finest of the grain remained. Knead the dough, and allow it to rest. Then use a rolling pin to spread it thin, spread with oil, sprinkle with cinnamon and sugar, fold the tips, again spread with oil, and fold one more time. Then flatten out again slightly, cut into slices, and fry in a pan or on a sadj. Knead the dough, and allow it to rest. Then take a small pinch of the dough, open it up with the fingers, fill it with the cinnamon and sugar, then reshape the dough, flatten it out, and fry. Serve alongside the grape molasses. Melt the butter, and parch the flour in it on a low flame. Stir constantly, then add the water for boiling and the sweet grape juice. Stir and mix, ensuring that none of the ingredients form into lumps. Serve warm with more butter on the side. Dissolve the flour in water, and boil. Add the butter and the salt. Serve with the sweet grape juice on top. Boil the rice over a low flame. Add the other ingredients. If desired, serve with a garnish of walnuts and raisins. 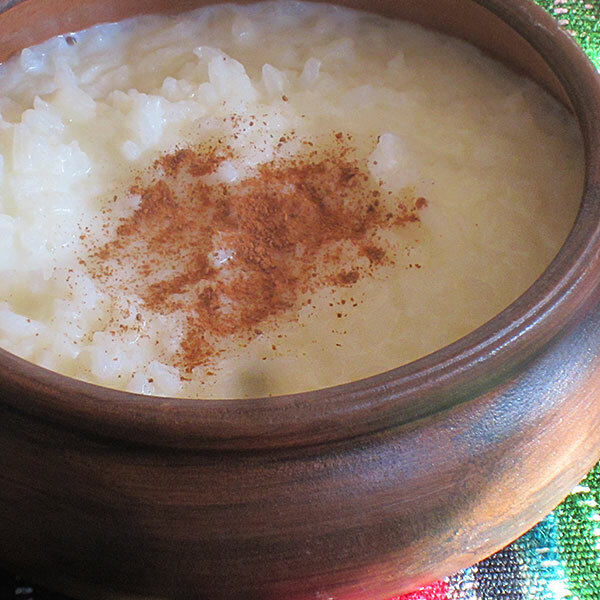 Boil the rice, after placing the stick of cinnamon in the water. Add the remaining ingredients, and continue to cook over a low flame. Pour into bowls, and garnish with the ground cinnamon. Knead the dough, roll into balls, and allow the balls of dough to rest for some time. Then, use a rolling pin to flatten them. Spread the tahini over the dough, and sprinkle the dough with the cinnamon and the sugar. Make an opening halfway up the dough and begin to roll the dough outward over itself. Flatten the dough with the rolling pin, then bake in the oven or on the sadj. Knead the dough, roll into 10 balls, and allow them to rest. Roll the balls of dough into thin layers, and arrange them on top of each other at the bottom of a tray. Spread oil on each layer of dough. Add the chopped walnuts on top of the fifth layer, then continue adding the layers. Sprinkle the cinnamon on top. Cut, and bake at a medium termperature in the coven. Add cool honey water or sugar water as soon as it is taken out of the oven. Mix the sugar and the water, and boil. Sear the flour with oil. Slowly add the sugar water, making sure that the liquid doesn’t coagulate into balls. Empty into a plate, flatten out, cut, and sprinkle with cinnamon powder. To make cheese havla, use the same ingredients, but after adding the sugar water, also add 200 grams of unsalted, grated cheese. 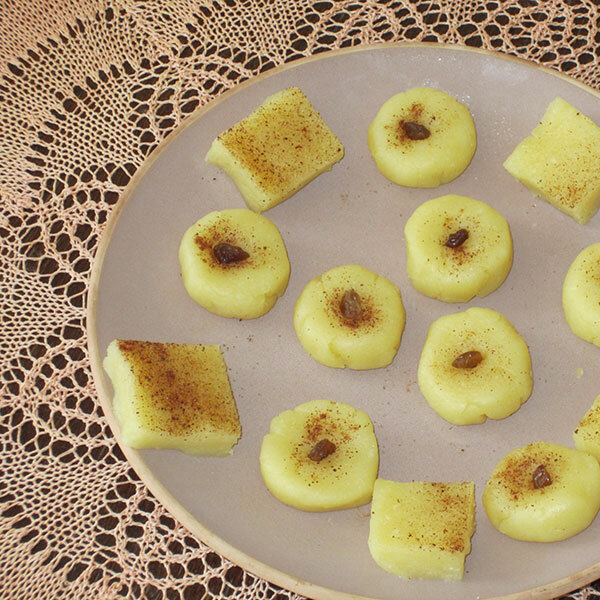 Either serve as flat slices, like regular halva, or make sekhems and serve those. Some also choose to add farina in the flour. Knead the dough with the yeast, and allow to ferment. Roll into small balls, open up with the fingers, spread eggs on the though, sprinkle with sesame, and bake. Boil wheat and strain, sprinkle with salt, allow to dry, then roast. Boil chickpeas halfway, strain, roast over hot sand, put through a sieve, and mix with the wheat. Prepared using yogurt that’s been dried under the searing summer sun. Then, the night before serving, the pieces of the chortan are wetted. They had a special stone, the chortnkar, which they used to cut the chortan. Chop raw, unoiled meat, sprinkle with salt, arrange on a colander, and allow the blood to drain. On the next day, boil with a small amount of water, after putting a slice of quince in the water. Boil until the meat is cooked and the water is completely absorbed. Meanwhile, dice the lard, melt, strain, and pour the clean oil on the meat before frying it. Serve the fried meat in large plates, with plenty of the same lard oil on top. Prepared for herisas and soups. Wheat is first soaked, then smashed against a deng (a stone anvil used for this purpose) while pouring water over it, so that the chaff is drained away. 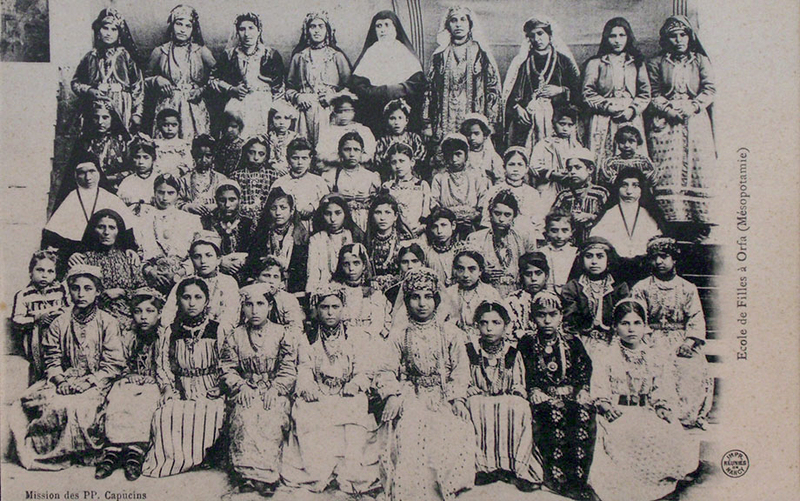 The name yeghnagh is given to a gathering of women who get together to make vermicelli. 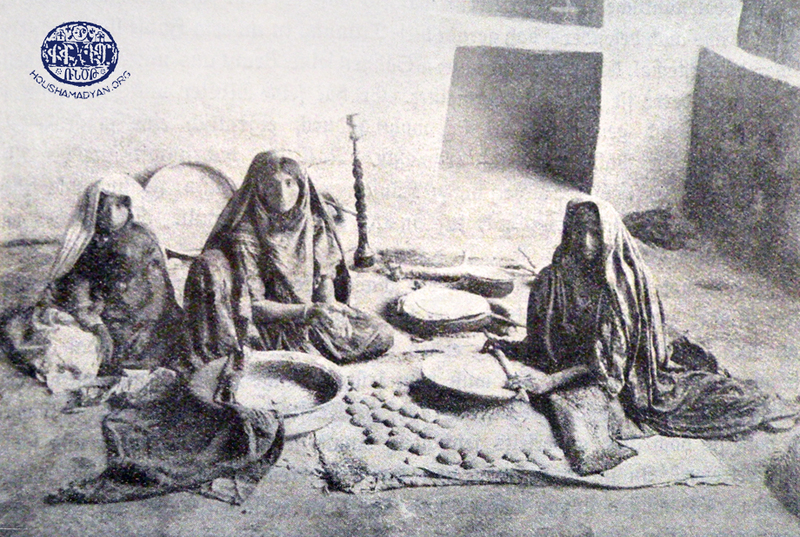 The woman of the house kneads the dough early in the morning, then sets the table, around which a dozen women sit and prepare the vermicelli while chatting and laughing. The noodles are made by squeezing the dough between the index finger and the middle finger. The noodles are then dried up in the oven and preserved. The pounded wheat (dzedzadz) is smashed, turning it into cracked wheat, and the cracked wheat is put through a sieve to get simit. The pounded wheat (dzedzadz) is laid on a roof, under the sun, so it dries up. Then it is taken to a mill. The milled tsetsats is split into large, medium, and fine grains. These are then put through the finest of screens, and the grains that make it though constitute the wheat powder. At the start of the summer, in order to relieve some of the weight on the vines, a portion of the grapes that were still not ripe were harvested, crushed, and drained. Some salt was added. The resulting jam was preserved in bottles. A few drops of oil are added to prevent contact with the air. The bottles are preserved in a cool, dark area. In the summer, grapes were crushed, drained, and boiled. Then resulting jam was preserved in jars. 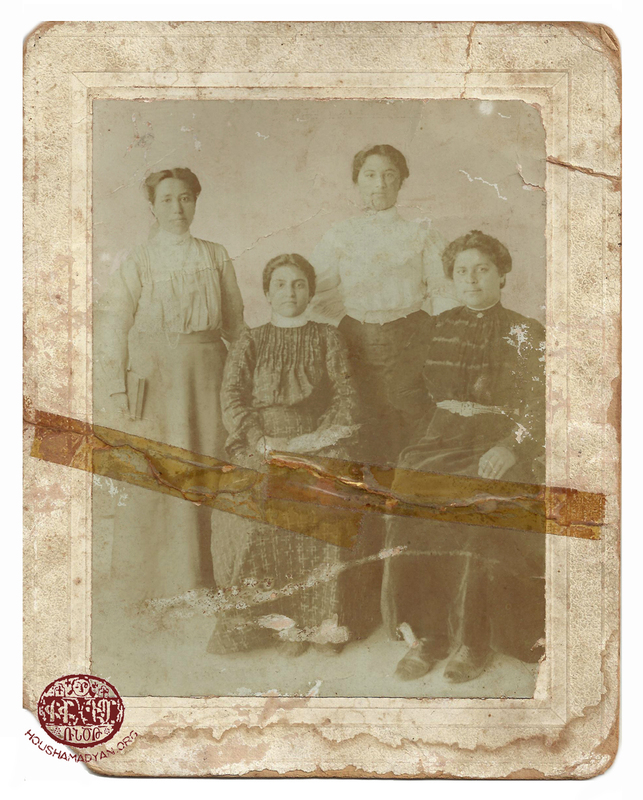 My acknowledgements to two chroniclers of Ourfa, Mrs. Aznig Hagopian-Balian and Mrs. Roza Yessayan-Kilejian, for their descriptions of Ourfa’s dishes and food. Hagop Hissayan, Yetesia, Beirut, 1962. Hagop Hissayan, Yetesia, Beirut, 1971. Armen Donoyan, Ourfa and its Battle for Survival, Los Angeles, 1993. 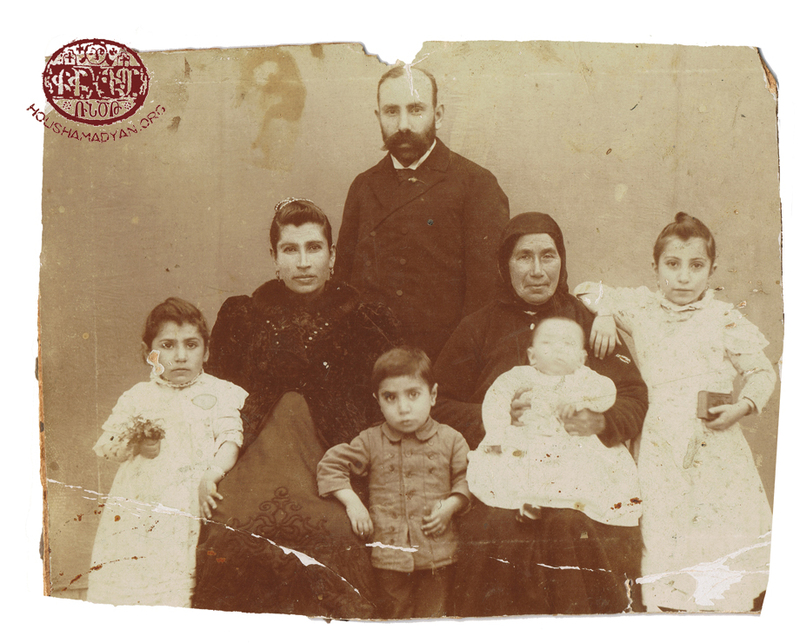 Aram Sahagyan, Mythical Ourfa and her Offspring, Beirut, 1955. 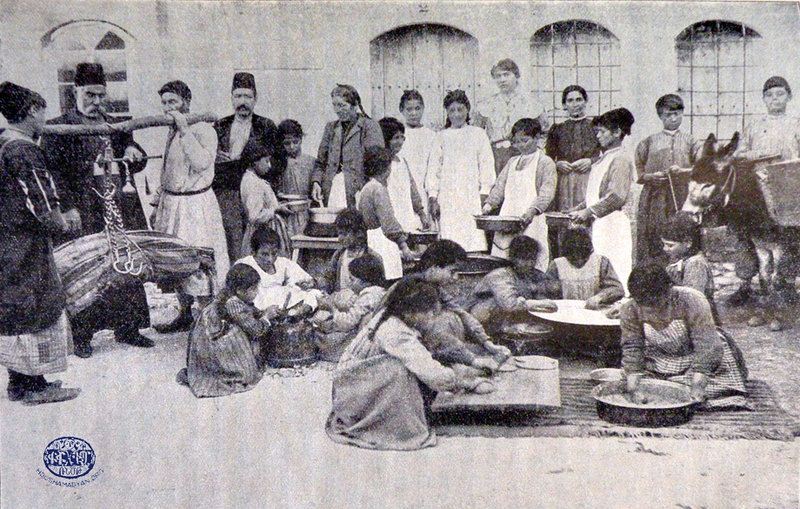 Ourfa’s Traditional Dishes, Union of Ourfa Armenians, Beirut, 1986. The Armenian Sacred Days – Ourfa, Hamazkayin, Beirut, 1979.